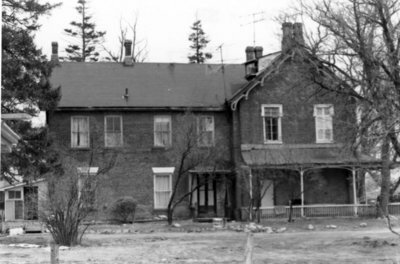 This view is of the west side of the house which was built in the 1850s and demolished in 1977. 552 Dundas Street East, April 1974, Brian Winter. Whitby Archives 17-034-004.